Rad! The time-to-kill is a little low for a fast shooter (for my taste) but I had a blast. Nice work! 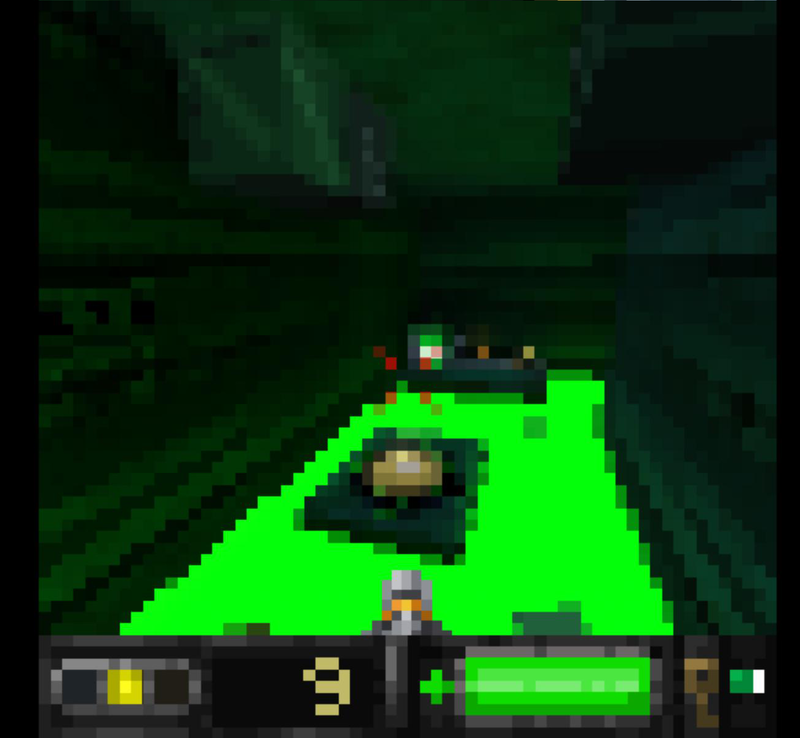 Great little game - very enjoyable, very Quake! That being said I'm not a fan of the forced low resolution: some things just don't read very well, I found myself "scrubbing" the camera around the get a better idea of what I'm looking at. 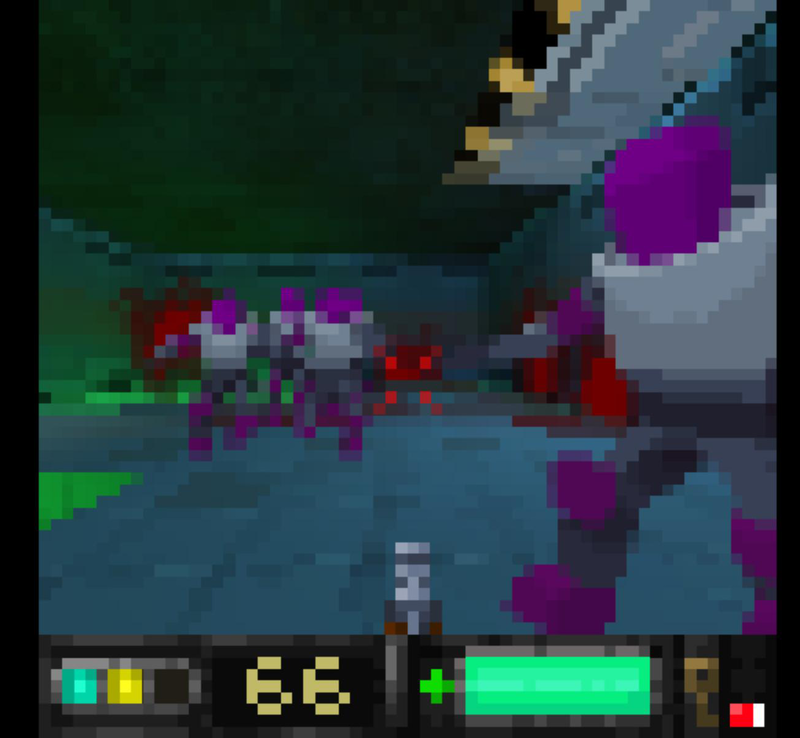 I think 8-Bit Killer and Gun Godz would be more "kosher" example of very low-resolution FPSs (or Wolfenstein). One note: you probably want to warn people in safari that the game won't be playable: the mouse capture doesn't work, so while you're trying to play the mouse will leave the window. It was a fun game! I loved how things were still understandable in low resolution. I feel like playing a 3D game with a forced 64x64 render. The result is between originality and illegibility. This adds an unique style to the game, but I find hard to see some elements in the game (for example, platforms). The game is fun by the way! Nice level design. But I think that you can add more feedback when the player shoots enemies (there is no sound or effect in this version). this is really pretty great, though i do wish i could move/aim a little more nimbly to deal with the enemies in closer range. the platform jumping bits are also very difficult to judge due to the low resolution. i like that the game is true to the 64x64 strict grid, but you can rotate in the engine at a finer scale (visible in the changes to the lighting and coloring of different pixels in the grid) - this is pretty neat. otherwise, i'm not sure how i feel about games made in 3D then forced to such a low resolution. it is very cool to see for the purpose of the jam, and i love imagining an alternate reality where we had handhelds with enough processing power to run this for some reason paired with such a poor display. but it may not really add anything in terms of quality of gameplay or aesthetic now - the art assets get messy very quickly when scaled to any distance (maybe this could be used to good effect, but here it seems arbitrary). that said, very nice work and thanks for sharing! Awesome work! So much nostalgia, thank you for making this! 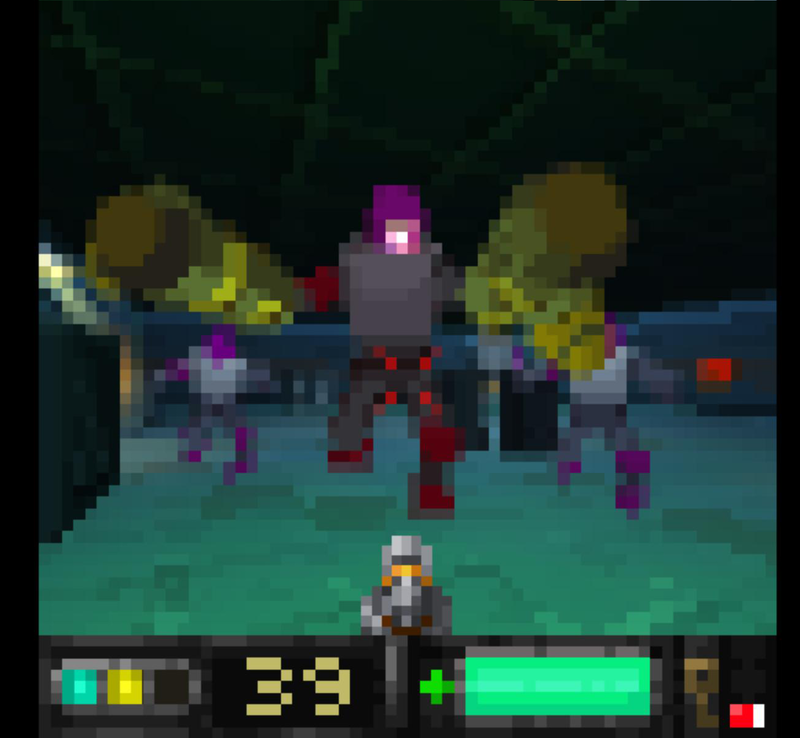 Low res Quake? yeah thanks! We have released post-jam patched version which mainly fixes problems in main menu, for ex. one where you could still move in menu, when level was loading in the background, sometimes causing confusion. Additionally you can play on Mac now. We have Linux build too, but it's experimental. It doesn't work on some machines, (if you have problems, try adding -force-opengl on running in terminal). Feel free to contact us if you have any questions and let me know how are the new builds! This game rocks. 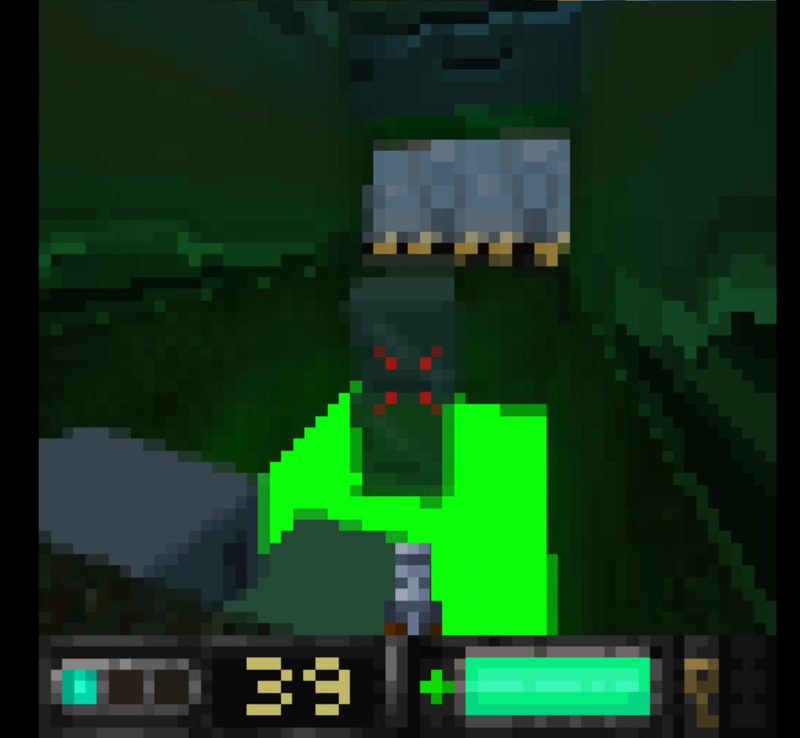 The graphics look perfect and subtle and the classic Doom gameplay is all here. Please turn this into a full-fledged game.